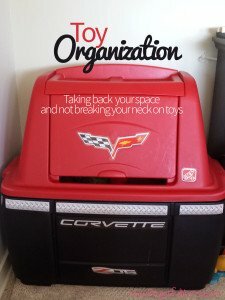 Does it seem like toys have taken over your house as soon as your children reach toddler-hood, and only get worse the older they get? Toy clutter is all over my house, from the living room, to the kitchen, to the bedrooms, even to the bathroom, because they have to have bath toys too. Look at how the toy are stored. We have different methods depending on where they are. Toy boxes. Small and large plastic totes, plastic shoe containers. Basically anything that can hold something. You can also check out these 5 storage ideas. This one is storage too: coffee tables and/or ottomans that double as storage space as well. These are great for common areas such the living room. Maybe you just have too many toys in your house. Are they all getting played with, maybe they’ve been out grown? Donate them, or even sell them, there is nothing wrong with selling them, put that money towards a new toy, or storage for current toys. Not all the toys need to be out and played with at all times. If you have a place (think basement, spare room, attic) you can rotate toys out. This keeps your child from getting bored with what they have, as well as it makes the toys you rotate in fresh and exciting. Pley makes this easy to do as well. 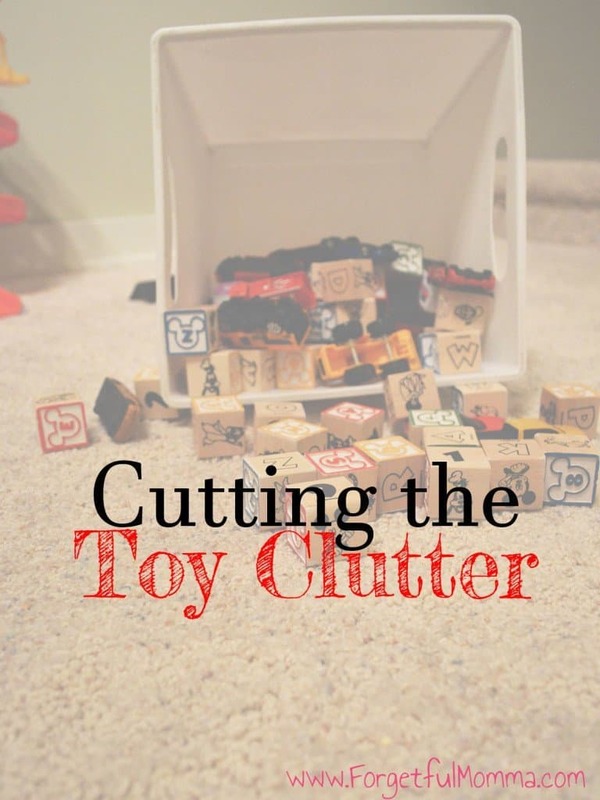 Do you have toy clutter taking over your house? Are they left to your child’s room or a playroom?